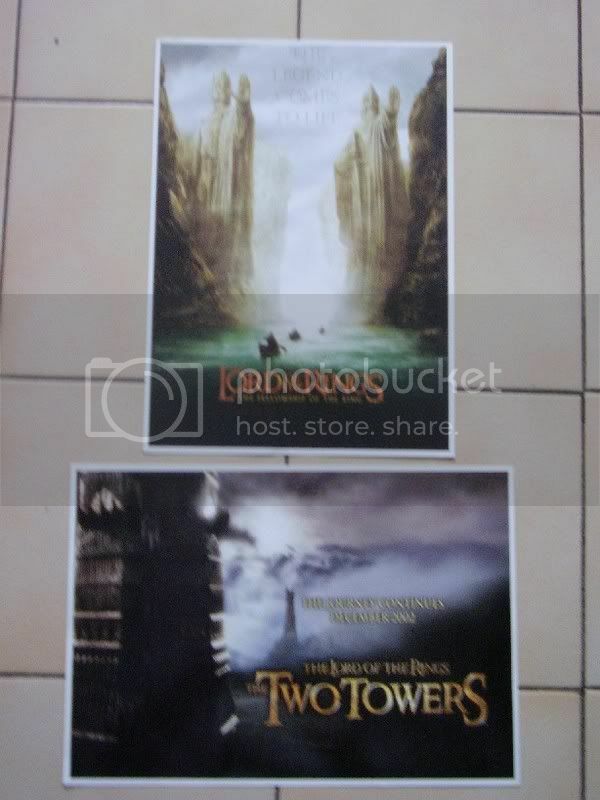 They are actual art prints, on photo paper (the size of an A4 sheet of paper), given freely with the copy of the magazine to celebrate the release of TTT. As you can see, the portraits show a bit more on the lower side of the pics. Oh, those are great, Melyanna! 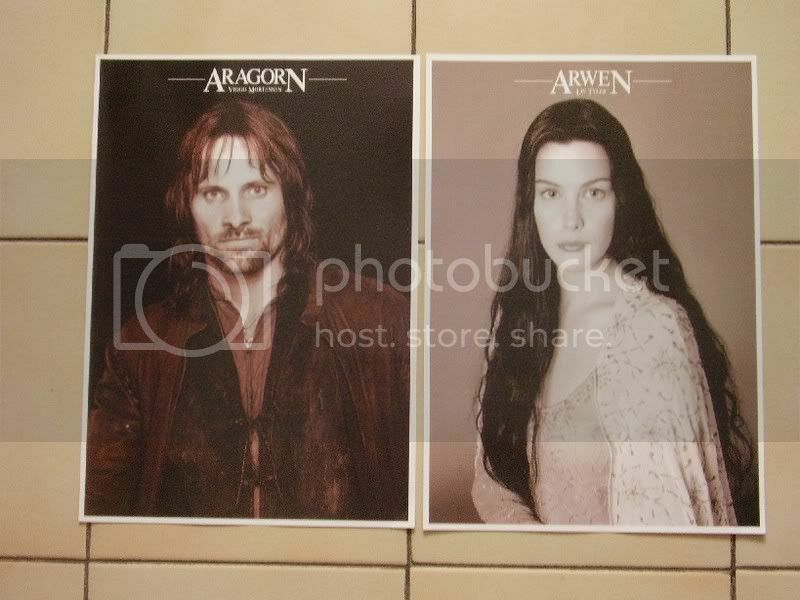 The calendar pictures do go down farther, but not that far (Oh, the detail on Legolas' and Arwen's costumes! *swoon*), but they have the logo printed across the bottoms, obscuring the images behind. What a treat to open your magazine and find such treasures! Oh yes, the prints were the main (only?) 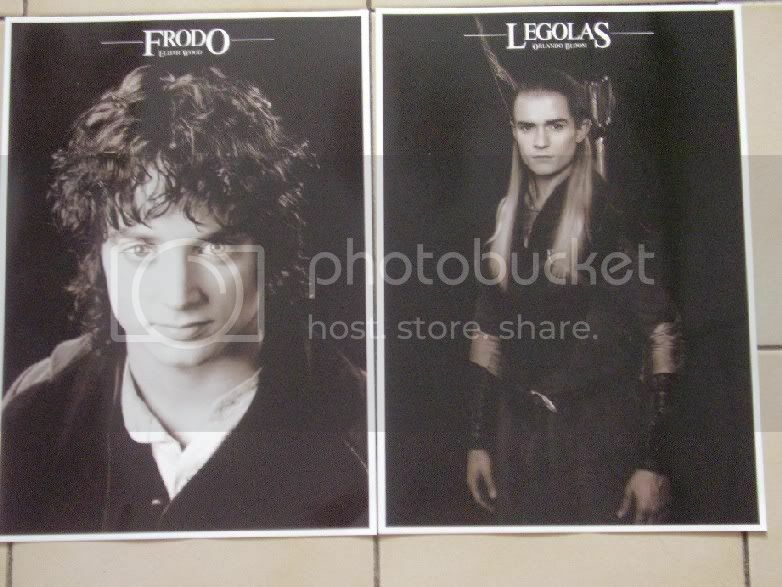 reason for me to buy the magazine (no LOTR articles on it) and I was not disappointed! It sounds well worth whatever was the purchase price. What a collector's item!